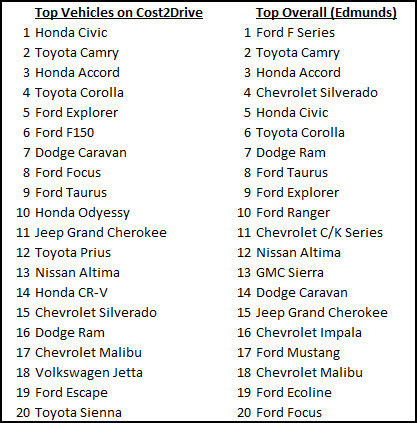 As we continue to analyze data from over one million vehicles that have been entered into our popular fuel calculator app we’re ready to announce that Ford came out as the leading manufacturer on Cost2Drive.com. Over 125,000 routes have been entered by Ford owners edging out Toyota and Chevrolet for the top position among consumers beleaguered by record high gas prices. 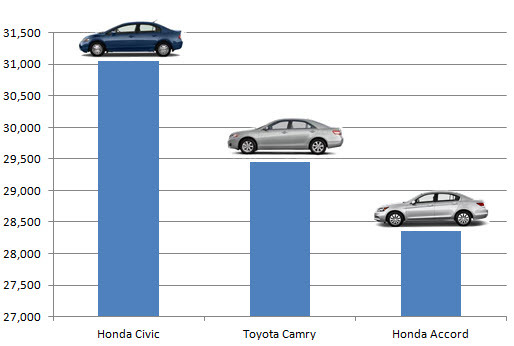 Owners of vehicles from all three manufacturers entered more than 100,000 routes on Cost2Drive with Honda owners not far behind entering over 95,000 routes. 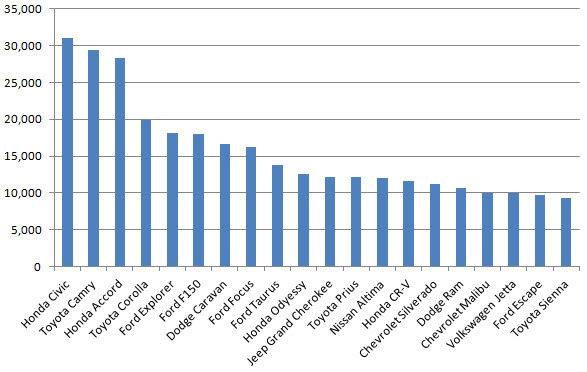 Below is a chart depicting the top ten brands. 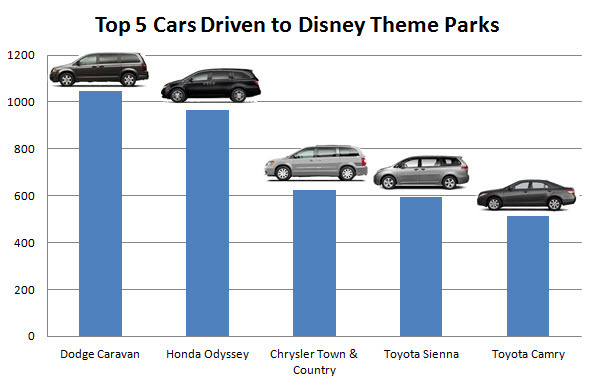 We took a look at how the distribution of vehicles breaks down across ten major urban markets and in this case the results came out in favor of Toyota who led in seven of the ten markets. 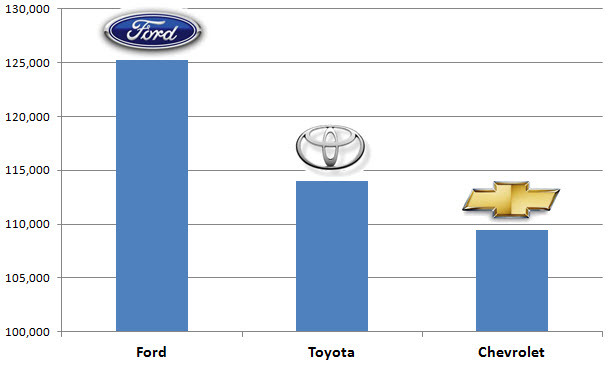 Ford led in two markets (Miami and, not surprisingly, Detroit) while Chevrolet came out on top in Buffalo, NY. 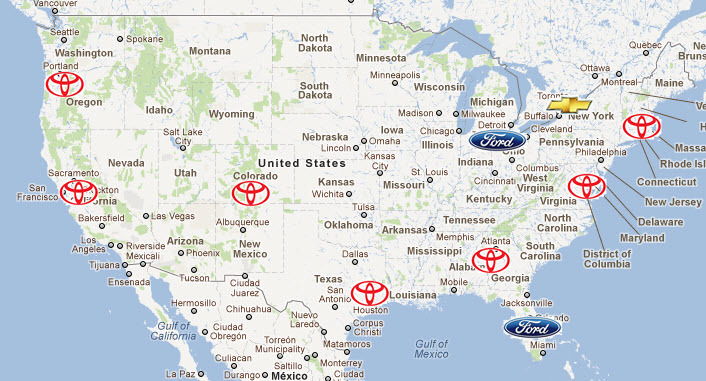 Toyota led in San Francisco, Denver, Houston, Boston, Washington DC, Atlanta and Portland. Since the Galculator on Cost2Drive.com captures model year information we’re able to ascertain the average age of vehicles that are entered on this site. The average age from these top ten brands was 7.4 years, however there are some significant variances between brands. 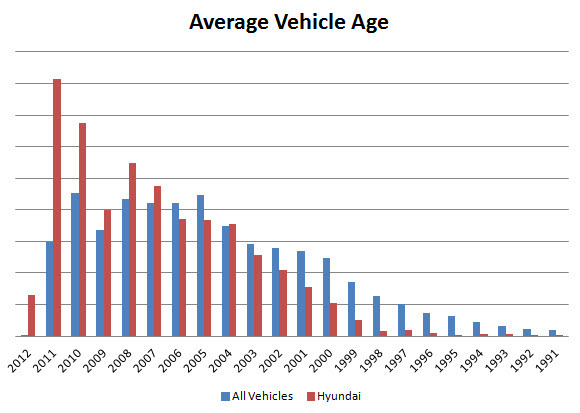 Owners of Pontiac cars, a brand GM discontinued in 2010, entered the oldest vehicles at an average age of 8.7 years while Hyundai owners entered the newest vehicles, averaging 5 years old. 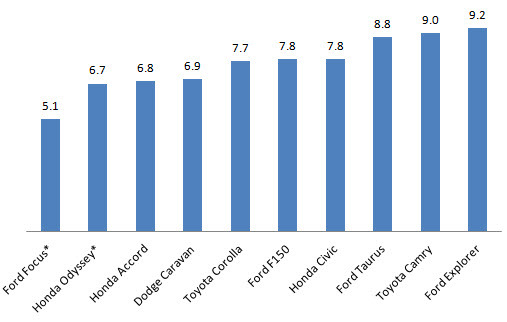 The chart below illustrates how the volume of owners entering newer Hyundai vehicles on Cost2Drive.com is significantly higher than the other nine brands, indicating that Hyundai is hitting their target audience with their messaging around high fuel efficiency. 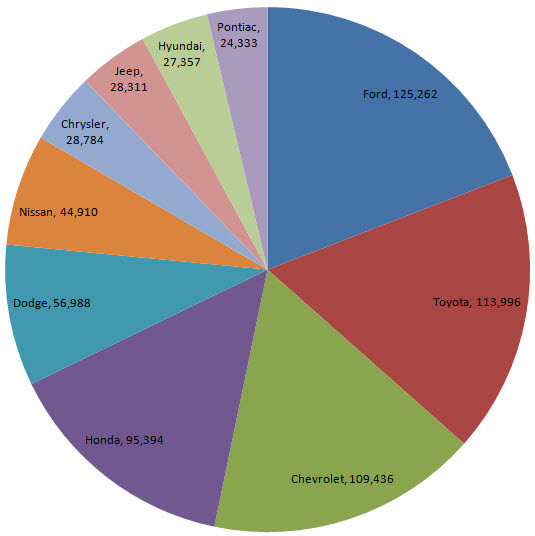 Part 2 of a 3 Part Series: This is the second installment of 3 posts we’re publishing to coincide with the North American International Auto Show (NAIAS) where we analyze data on over 1 million vehicles that have been entered on Cost2Drive.com. 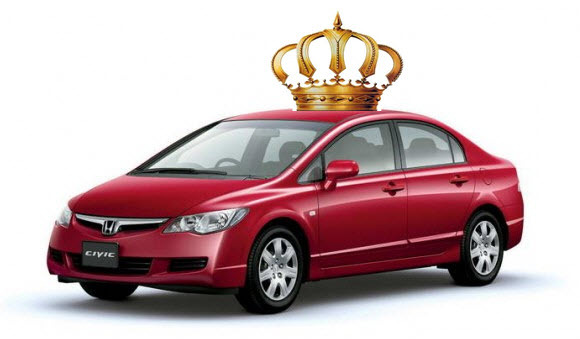 You can read our initial post on the luxury car segment here, and in our final post we’ll reveal the leading vehicles overall entered on Cost2Drive.